“The Supreme Court abandoned its duty to take up or at least hold these marriage cases. The responsibility for the undermining of marriage rests solely at the U.S. Supreme Court. Last year’s decision in the Defense of Marriage Act case that started this fire, and today’s decision to watch marriage burn to ashes is the responsibility of the Supreme Court. Mt. 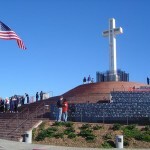 Soledad Veterans Memorial Cross Fight Will Advance In Federal Appeals Court! The United States Supreme Court notified Liberty Institute that it declined to review their case defending the Mt. Soledad Veterans Memorial early. Instead, the fight to preserve the Mt. Soledad Veterans Memorial Cross will now continue at the U.S. Court of Appeals for the Ninth Circuit—with the case likely to advance to the Supreme Court after that. Posted in News Posts | Comments Off on Mt. Soledad Veterans Memorial Cross Fight Will Advance In Federal Appeals Court! (CNSNews.com) – Anthony Hahn, the president and CEO of Conestoga Wood Specialties, one of the companies challenging Obamacare’s contraception mandate, said his legal battle wasn’t for his company alone. The U.S. Supreme Court will issue its ruling on Obamacare’s abortion mandate any day now. The Court could go either way on this case, which involves Hobby Lobby and Conestoga Wood – both Christian-owned businesses. They are among 49 other family-owned businesses that have challenged Obamacare’s abortion mandate. William J. Murray, chairman of the Religious Freedom Coalition, is encouraged by yesterday’s Supreme Court decision upholding prayers in Town Hall meetings. Murray was interviewed by Jerome Corsi for WorldNetDaily. 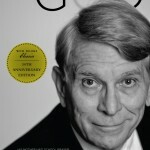 Murray was at the center of the infamous Supreme Court decision in 1963 that threw prayer out of the public schools. Murray’s mother, Madalyn Murray O’Hair, was a notorious atheist activist who sued the Baltimore School District for requiring each school day to start with Bible reading or the Lord’s Prayer.